Adorn your walls with this set of beautiful vintage art. 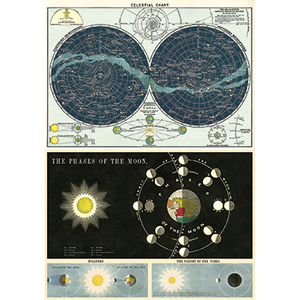 Printed on thick, Italian archival paper, the Phases of the Moon and the Celestial Chart posters make beautiful wall hangings for the office, guest room, or library. 20” x 28”. Shipped rolled.